We’re only two movies deep into Disney’s extension of the main “Star Wars” saga, and somehow it’s already undergoing a reboot of sorts. “The Force Awakens,” being the start of a new era, laid a ton of groundwork for the future of the saga — groundwork that “The Last Jedi” largely took apart completely in order to lay its own mostly different groundwork. So much happens that it can be hard to keep track of, but we’ve got you covered. Below you’ll find ten examples of plot threads set up in “The Force Awakens” that “The Last Jedi” either cut off at the knees or simply didn’t bother to pick up at all. Hey. You. 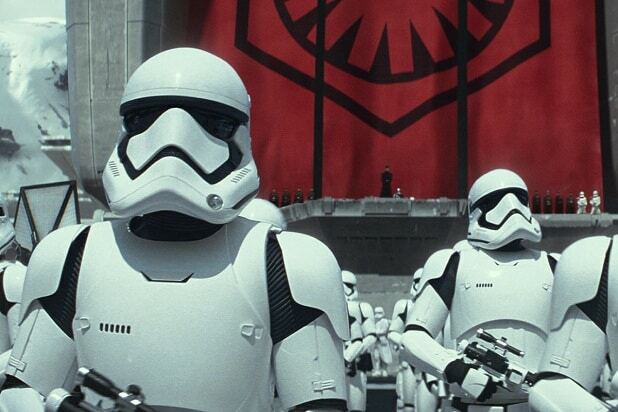 There are big spoilers below for the latest “Star Wars” movie. Even though most everyone has seen it by now, we’re giving you another warning because we’re nice people and we know there are always more folks out there who were waiting for this week’s digital home video release. Okay, it’s time for spoilers. After three years of speculation about the identity the mysterious Force user leading the First Order, “The Last Jedi” killed him off without providing any answers whatsoever. His death is not a moment that really serves as a payoff to anything — he died in a way that would indicate that his identity isn’t important, and neither is he as a character. Now Kylo Ren runs the First Order, so I guess the point of all this was to make the main villain of the trilogy be one of the actual main characters. Whatever the reason, it turns out fans wasted way too much time caring about who Snoke was. There’s a bit that caught my eye at the very end of the opening crawl where it refers to the Resistance base as a “rebel base.” That’s not a correct use of the word “rebel.” The First Order is a force of invaders, not an established government, so you can’t “rebel” against them. You can, however, “resist” them. Which is why they’re called the Resistance. Also Read: 'Star Wars: The Last Jedi': What's the Deal With Those Gold Dice? On top of that, there isn’t even a Resistance anymore by the end of the movie because almost everyone is dead now. Which is honestly pretty weird. “The Force Awakens” didn’t exactly give much info on what’s going on with the New Republic these days, but we do know a few things: The New Republic is like the old one, which means it’s a galactic government; the Resistance is a separate entity from the New Republic; and the Republic’s capital planet got blown up by Starkiller base. “The Last Jedi” moves forward in a weird way from there, conflating the Resistance with the Republic and acting as though the destruction of the Republic capital means the entire Republic is no more. It presents the First Order as now being in control of the entire galaxy, even though this entire movie takes place immediately after “The Force Awakens” ends and features a story that lasts maybe a day or two — not nearly long enough to conquer a galaxy. It’s an odd attempt to morph to state of galactic affairs as established in “The Force Awakens” into something very different. So in “The Force Awakens” Snoke refers to Kylo Ren as the leader of the Knights of Ren, which are implied in Rey’s vision to have been responsible for the destruction of Luke’s Jedi temple after Ren turned dark. But the Knights have yet to appear on screen outside of that vision, and no mention of them is made whatsoever in “The Last Jedi.” So I guess they’re just not a thing now. Fans have been speculating about who Rey’s unseen parents were since “The Force Awakens” was released. The movie purposely obfuscated their identity, but Rey’s incredible power — and Kylo Ren’s true identity as Ben Solo — made everyone immediately think she had to have Skywalker blood. In any case, “The Last Jedi” does away with two years of questions about Rey’s true identity. It turns out, her parents are nobodies, and her seemingly special connection to the Force has nothing to do with the established universe. That’s a cool move, since one of the original elements of “Star Wars” was the feeling that anybody could become a powerful space wizard hero. But it does feel like a letdown after so much was made of Rey’s identity. Or maybe it’s a lie. In “The Force Awakens,” Han Solo speculated that after Ben turned to the Dark Side, Luke left to find the first Jedi temple ever constructed. That seemed to suggest that Luke was seeking something important there — maybe a greater understanding of the Force or the Jedi, or some important artifact. But while it turned out it was true that Luke was going to the first Jedi temple ever, there didn’t turn out to be an especially good reason for him to be there. Luke even asks in “The Last Jedi” if Rey thinks he would have come all the way to Ahch-To for no reason, but it turns out the only reason he gives is, “I came here to die.” Seems like if Luke was serious about dying, he could have done it anywhere, and he wouldn’t really need to go to all the trouble of creating a jigsaw puzzle map that he left behind inside R2-D2. “The Force Awakens” got some guff because it didn’t seem to be very much in line with what other “Star Wars” films had established about Jedi training. Rey in particular was able to tap into Force abilities that previous characters, like Luke Skywalker, had developed over a much longer span of time, and presumably through instruction. But, hey, that movie ended with Rey meeting Luke, presumably before training under him in order to get a handle on her obviously immense power. Except no training actually occurs. She mostly continues to teach herself about combat and the Force, while Luke blows her off repeatedly. Kylo Ren meanwhile goes through something similar with Snoke, who declared at the end of “The Force Awakens” that it was time to complete Kylo Ren’s training — but then Kylo Ren ended up sitting around on Snoke’s ship for most of the movie not training. Maybe Snoke secretly setting up a Force connection with Rey was his final test? I don’t know, man. I don’t know. With an awesome set of chrome armor, the exciting casting of “Game of Thrones” star Gwendoline Christie and a personal vendetta against Finn, it seemed like stormtrooper leader Captain Phasma was being positioned to become a major potential villain in the new “Star Wars” trilogy. But then “The Force Awakens” seemed to mostly cut her scenes. Phasma got a novel in between movies, but she gets just as short a shrift in “The Last Jedi.” Phasma shows up for roughly one sequence and gets in a pretty solid knock-down brawl with Finn, at the end of which she falls into a fiery pit and dies. “The Force Awakens” makes a big show of having Kylo Ren essentially pray to Darth Vader at one point as he struggles to remain evil. “I will finish, what you started,” he says ominously, demonstrating that a big part of his whole arc is his devotion whatever he thought Darth Vader represented. But that devotion is nowhere to be seen In “The Last Jedi,” with Darth Vader only being mentioned once, by Snoke. 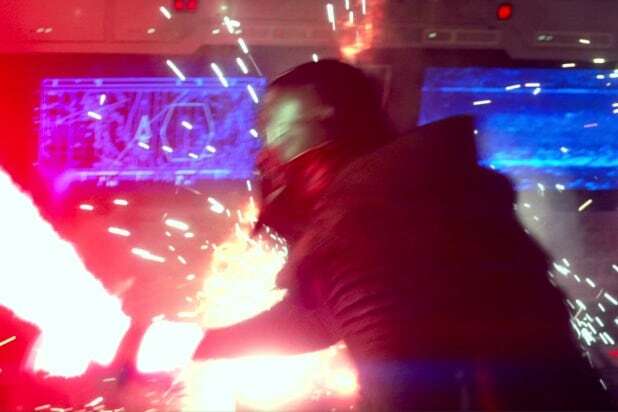 The big moment early one where Ren destroys the helmet he wore through most of “The Force Awakens” maybe represents a decision on Ren’s part to make his own way rather than follow in his grandfather’s footsteps. When 3PO popped in “The Force Awakens” he had a new red arm and immediately pointed out that his red arm is different from his previous gold arm. He has that red arm still when R2 assembles the map to Luke at the end of the movie. And then, for some reason, he has his gold arm again in the very next scene, where you can see him in the crowd at the Resistance base as Rey flies away in the Falcon to find Luke. At no point in “The Last Jedi” does 3PO explain why he got his gold arm back, nor does he even reference the fact that he had a red arm at all. I guess we’re just going to pretend like that didn’t happen, even though Lucasfilm actually commissioned a comic book to explain how he ended up with that red arm.